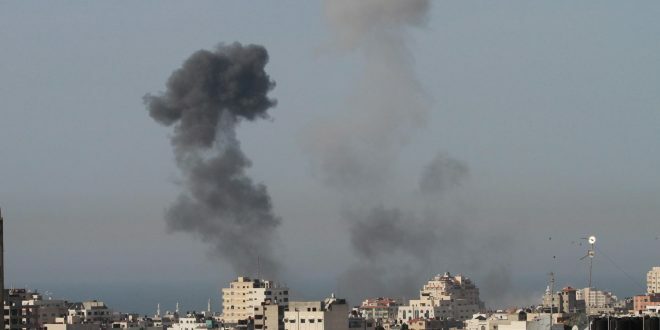 Four Palestinians were wounded Sunday when Israeli occupation forces allegedly targeted a Palestinian resistance site north of Beit Lahia in the northern Gaza Strip. Local media said that an Israeli reconnaissance plane targeted a training site that belongs to the resistance movements north of the town of Beit Lahia, causing injuries among the citizens. Sources said that a medical personnel had taken the wounded to the Indonesian hospital in the northern Gaza Strip.